Brought Dota to a whole new level of extreme gameplay. Enormous changes and modifies on certain heroes, creating multiple godlike choices. Congratulations on the success to IceFrog and his fellow companions, great work, well done. NICE ONE ICE FROG KEEP UP...!! WHY!! Axe is too imba... as i know instant death skill or items are forbidden but the axe have only 5 seconds CD to instant kill em' ol!! hey please fix this: when i buy urn, the one that requires the sobi mask and gautlets thing, and use the charge on me, i get healed, but at the same time, if i use a healing salve, my healing salve would be immediately canceled out, and it is gone, leaving with me only the healing urn charge. Guys, IceFrog has released DotA 6.67b. its very good map . but must have a new hero when new map comes . NERUBIAN ASSASIN WILL BECOME IN DIZ VERSION EWW. . .
Hey, bring back the old Nerubian Assasin! I like spike carapace, i hate urna swarm!!!! Nerubian is my favorite hero and i love the "spikes" so please bring it back! 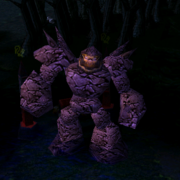 If DotA is cool this time, what will DotA look like in the mere future?